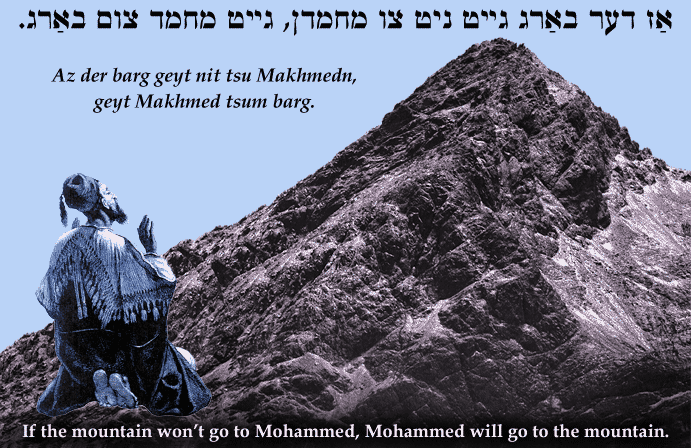 Yiddish: If the mountain won't go to Mohammed, Mohammed will go to the mountain. Az der barg geyt nit tsu Makhmedn, geyt Makhmed tsum barg. If the mountain won't go to Mohammed, Mohammed will go to the mountain.